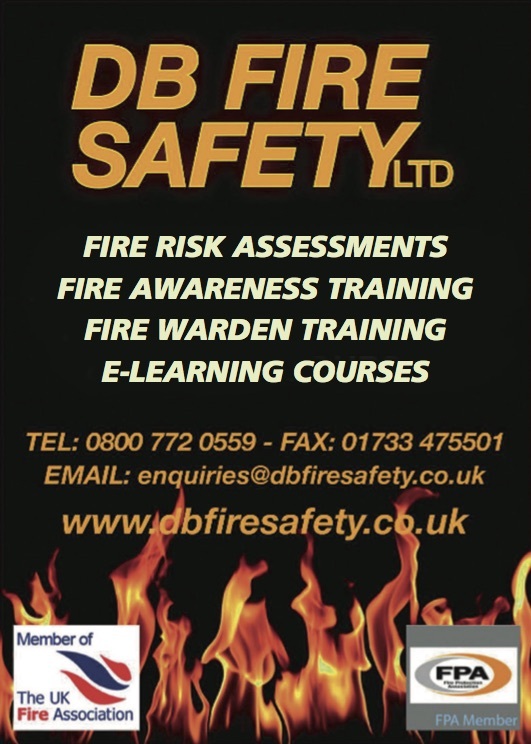 DB Fire Safety can now offer a comprehensive selection of E-Learning courses covering all aspects of Health & Safety. We will be offering special packages through which you can have access to an unlimited number of courses. – Details on request. 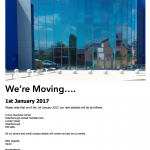 Keep a look out for some exciting news to come from DB Fire Safety Ltd.
DB Fire Safety Limited are proud to be exhibiting at The Business Show 2018. This exhibition is being held at the ExCel, London on Wednesday & Thursday 16th & 17th, May. The Business Show is the biggest business event in Europe with over 350 exhibitors and 250 speakers. It offers ideal opportunities for business owners to pick up tips and insights into the best practices required to ensure your business is successful. David Black from DB Fire Safety Limited will be available, on stand 168, to provide advice on the appropriate fire safety measures required under fire safety legislation. He is already looking forward to meeting many existing and new business owners. If you wish to contact David prior to the show, you can call him on 0800 772 0559; or email david@dbfiresafety.co.uk. DB Fire Safety Limited are delighted to be exhibiting at The Dementia Care & Nursing Home Expo 2018. This is being held on the 25th & 26th April at the NEC, Birmingham. We invite any and al those responsible for fire safety in their places of work to visit us on our stand 13032. Looking forward to having many interesting discussions and meeting you all. Since the appalling tragedy at Grenfell Tower, there has been a great deal of discussion about fire safety in blocks of flats. These discussions have placed great emphasis around the use of cladding to the exterior walls of buildings. Whilst this is, quite naturally, an important issue, David Black, of DB Fire Safety Ltd, believes that there are other important considerations when assessing the level of fire safety in a block of flats. DB Fire Safety are involved heavily with building contractors converting disused office buildings into blocks of residential flats. David, therefore, has great experience in helping to develop the appropriate fire strategies and on-goiung fire risk assessments of such buildings. The general rule is that all flats must be contained within a one-hour fire resisting border. This means that floors, ceilings and walls are of a substantial construction. It also means that if a partition wall is designed to provide one-hour fire separation, any door within that wall must also be fire-rated to 60 minutes. In addition, all fire doors must be installed using appropriately fire-resisting hinges. Entrance doors to flats should be installed with a suitable self-closing device; and intumescent strips & cold smoke seals must be rebated into either the door or the door frame. They should also be fitted with a single thumb-turn device to enable prompt and safe evacuation in the event of a fire emergency. David also believes that all blocks of flats should have the benefit of a fire detection & alarm system with automatic fire detection throughout the common escape routes but also with a heat detector immediately inside the entrance to all flats. He also believes that manual alarm call points should be installed at appropriate locations throughout the building. All this will enable residents to easily raise an alarm in the event of a fire emergency (so alerting all occupants of the building immediately); it will also provide alerts to all occupants in the event of a fire occurring in an unoccupied flat. Other considerations include the need for a smoke extraction system that will allow all escape routes to be clear of smoke and so provide reasonable visibility in the event of a need to evacuate the building. Finally, David believes that procedures issued to residents in a block of flats should include the instruction to evacuate from the building if it is safe to do so. In other words, only to remain within the flat if evacuation from the building is impeded by the fire itself. Do you realise that you might be responsible for fire safety in your premises. The Fire Safety Order 2005 requires that all businesses appoint a ‘Responsible Person‘ for their premises. Regardless of how small the business may be this is a statutory requirement.. In general it would be the business owner, but it might also be the manager of the premises. A great deal of attention is currently being placed on the cladding installed on the outside of high-rise buildings. However, the fire safety provision inside your premises is likely to be of greater importance in the initial stages of any fire. It is critically important that all persons who might be on your premises can evacuate promptly and safely within secure and protected escape routes. This is the reason why it is a statutory requirement to assess the potential causes of fire, the potential risks that could allow a fire to develop and spread, and the control measures you have in place. 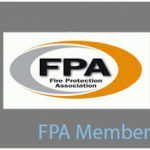 David Black of DB Fire Safety Limited is hosting a seminar on Friday 30th June entitled ‘Fire Safety & Your Fire Risk Assessment’. This seminar, which is FREE to attend, will provide business owners and property managers with the relevant information and tools to fully understand the fire hazards and risks that are likely to be present in their premises. It will also provide the necessary tools for owners of small businesses to carry out their own fire risk assessments. To register for your FREE tickets please go on the attached Eventbrite link. DB Fire safety Limited are delighted to announce an open seminar entitled ‘Fire Safety & Your Fire Risk Assessment’. Tea & coffee provided on arrival. 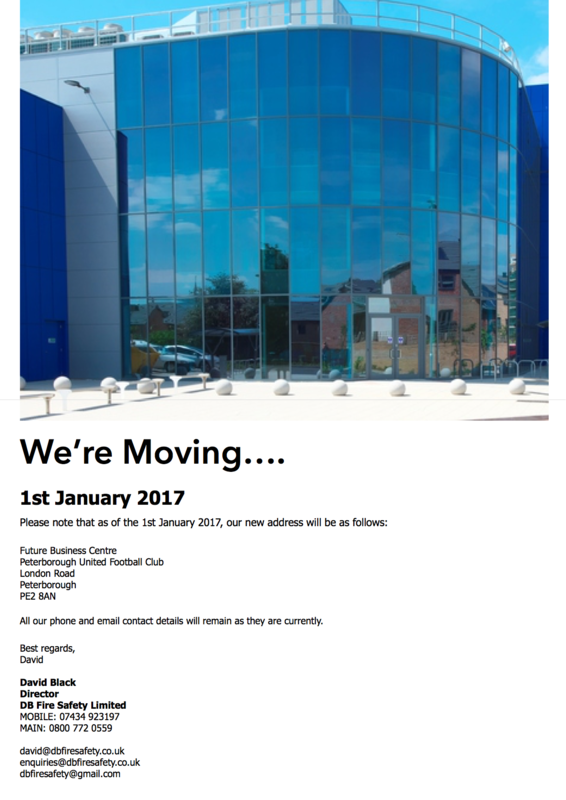 With free car parking available, we will now be able to offer open courses in general fire safety awareness as well as for fire marshals. As we approach Christmas, it is important to bear in mind that the number of fires in the home increase. There are a number of reasons why this happens. Therefore it is important to take even greater care of your fire safety at Christmas than would normally be the case. This blog highlights the hazards around Christmas trees and decorations as well as the importance of your smoke detectors. Christmas tree lights, however small, emit a level of heat and have been known to cause both natural and artificial Christmas trees to catch fire. So; remember to turn the lights off before retiring to bed at night. If you are going out to a party or event, it is probably a good idea to turn them off before going out. Don’t hang paper decorations too close to lights or any other potential sources of heat. These could easily catch fire; and it doesn’t take long for a small fire in a living room to develop into a major incident. Another piece of advice is to check your smoke detectors. These will give you early warning of any fire; so this is a good time of the year to ensure they are operating and, if necessary, install fresh batteries. Best practice is to have a heat detector in the kitchen; a smoke detector in the living room (or the room in which the Christmas tree is located); with an additional smoke detector at the top of the stairs. The video attached lasts about ten minutes; however, it is well worth watching. Simply click on the link and feel free to copy or send it to your friends or anyone else you think might benefit from watching the video. Have a very enjoyable and safe Christmas.